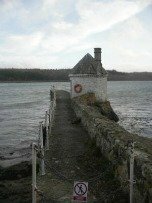 We have been to anglesey with my young family every year for the past 9 years! We mainly stay in Cemaes Bay, but stayed in Trearddur Bay last year, but we're back in Cemaes this year again. We absolutely love Anglesey and hope to retire here when we retire in 20 years time! My 10 year old daughter has become a real beach bum since we've been coming here. She loves it. My husband has discovered a love of shore fishing, even if he is really unsuccessful! As we cross the Bridge onto the Island, I instantly feel a sigh of relaxation. We find so many wonderful little places by literally just driving along the coastal road and turning down the little lanes towards the sea, sometimes they are hardly passable, but we find some amazing beaches. I found your website a few years ago, and it has been a real gem to help us find some little beaches and good fishing marks. Love back at you, Sally. It's a bit like being smitten as a teenager isn't it? On Anglesey we can do noisy' However, we do peaceful and tranquil better than most. 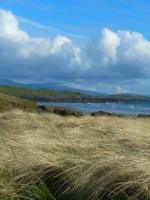 Now that the snow and bad weather has gone, Anglesey is verdant and beautiful and waiting for you. Best wishes and thank you for the kind words.